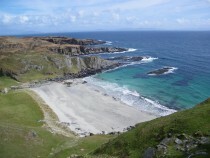 Route Detail OS Pathfinder 341,342 and 353 1:25,000; MAP OS EXPLORER 373 Iona, Staffa and The Ross of Mull. Car required. 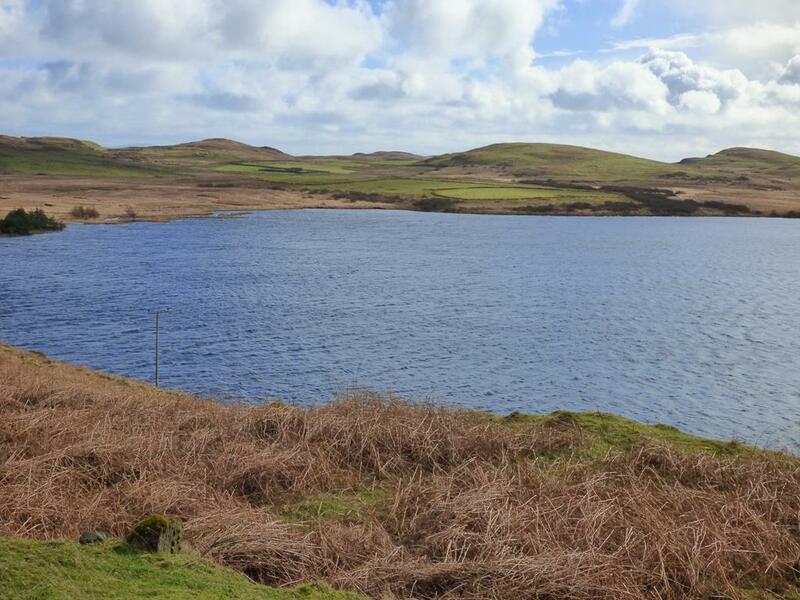 An all day excursion for all walks, Approximately 4 or 5 miles in distance if you do all the walks (including return). 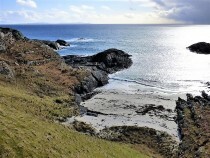 The starting point lies 2 miles south of the village of Bunessan on the Ross of Mull. 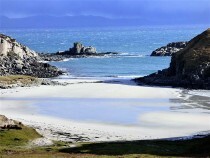 From Seaview bed and breakfast travel eastwards along the A849. 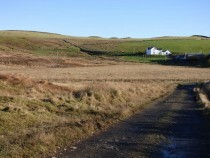 On leaving Bunessan take the sharp bend at the east end of the village and drive up the hill. At the hills crest, turn right at the sign for Assapol and Scoor. 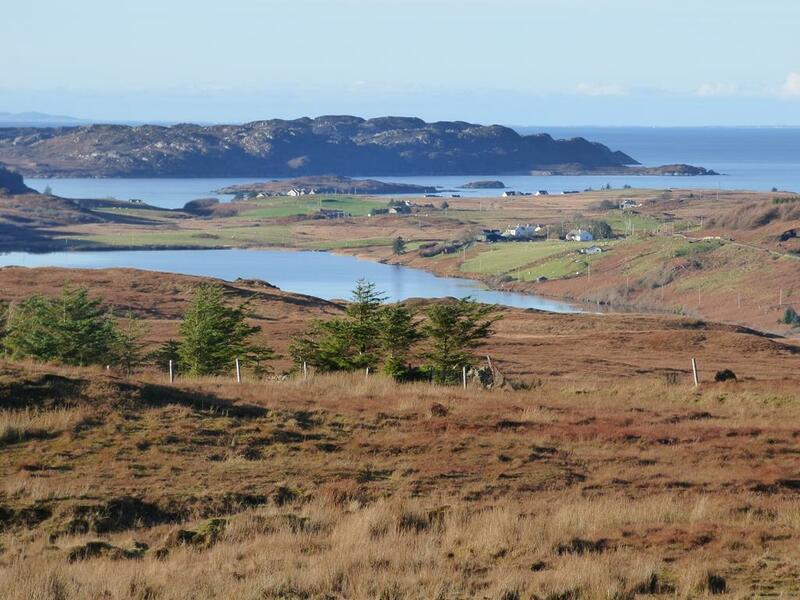 Travel along the tar road past Loch Assapol. Open and go through the gate onto a dirt track road but be careful of the odd pot hole. Follow the road up the hill and park at the side of the track (car park marked) opposite Kilvickeon cemetery You are not allowed to take your car any further. 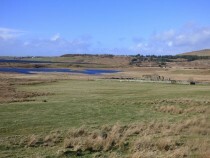 The church is situated in the fields to the right (west) below you. 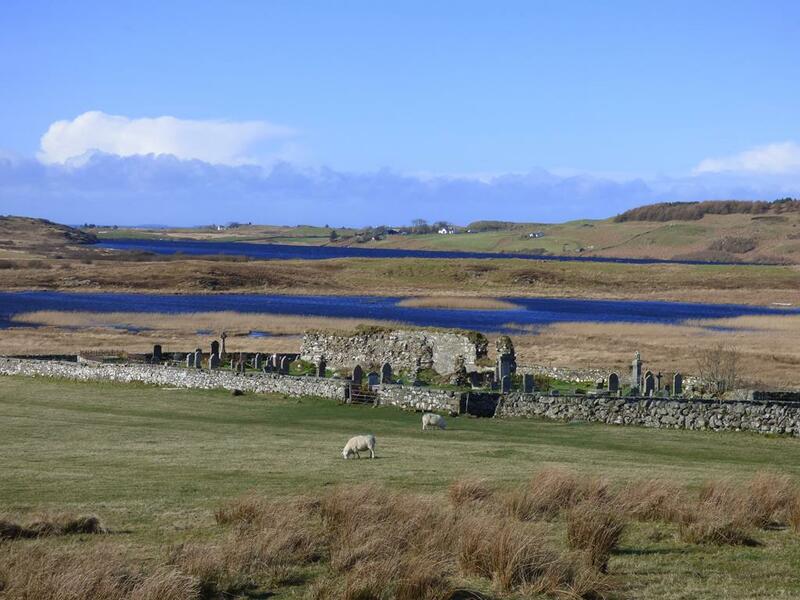 This is the only medieval parish church dating from the 13th century on the Ross of Mull, of which there are many worthwhile remains. Believed to have been built on a pre-existing Christian site, Kilvickeon translates from the native Gaelic as 'Church of the son of Eoghan' - Eoghan was a nephew of St Columba. 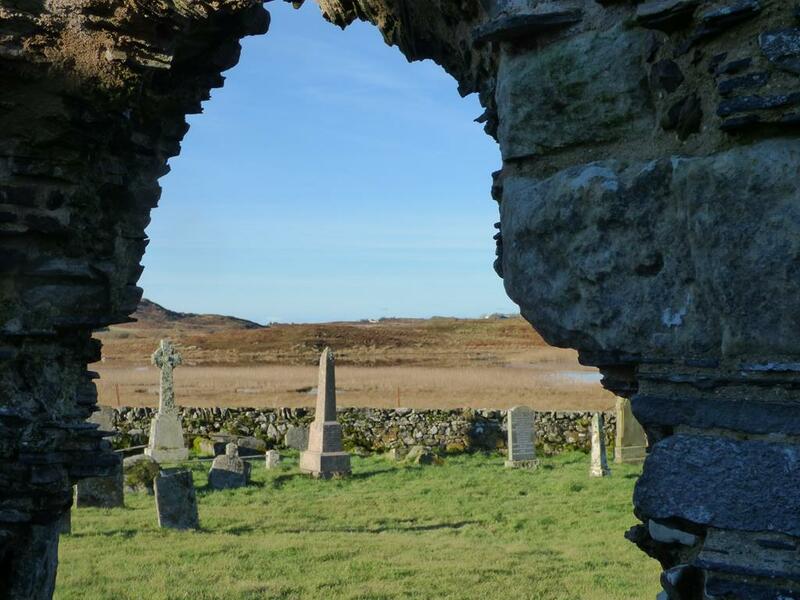 With Iona, the cradle of Christianity, so near at hand many of the missionaries would have passed through the area as they went off on their travels spreading the Gospel to other island townships. Kilvickeon read more from the Reformation onwards was linked or united with many other local parishes on the Ross of Mull, ending up as the Parish Church of Kilvickeon with Kilninian which served the whole Ross of Mull, before its final demise in 1804 when the present Parish Church in Bunessan was built. We know from the First Statistical Account (c 1792) that the original building had been in dire straits for some time. 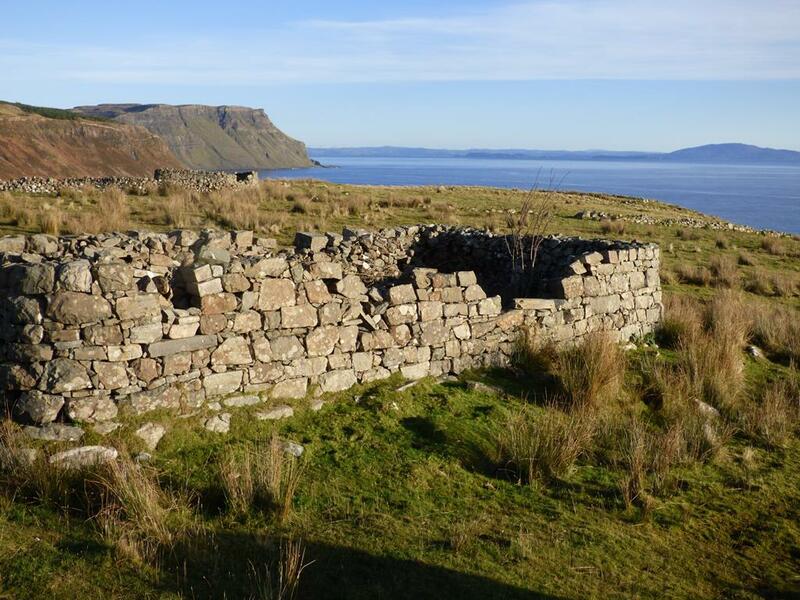 Today, the ruin stands in the midst of its burial ground, in a bleak and windswept part of the island, but with an atmosphere all of its own. There is still the occasional burial today, the last one being 2015. 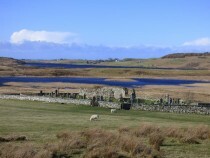 The church architecture resembles the architecture of St Orans chapel on Iona. 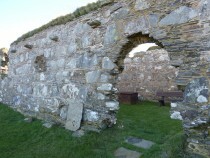 The arched entrance to the church is still there on the north wall. The original door of the arch must have been secured by a drawbar as the deep socket onto which the bar slid can be seen on the right hand wall of the arch. To the left of the door above you is a piece of carved sandstone, now weathered. 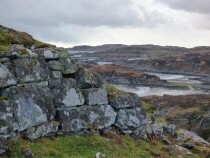 It could have been known as what was called a 'sheela-na-gig', a lewd or suggestive figure placed on a wall as a mark of defiance. 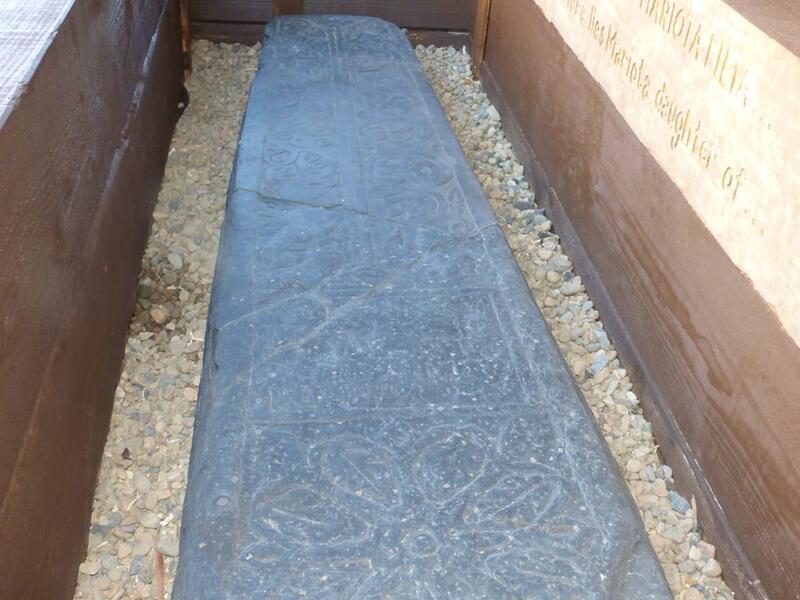 There are only 5 of these symbols recorded in Scotland, another of which happens to be at the Iona Nunnery. The stone was repaired in 2009 by historic Scotland and returned to the church in 2012, housed in a wooden shelter for its protection. The Church and graveyard was made an Ancient Monument in 1999. 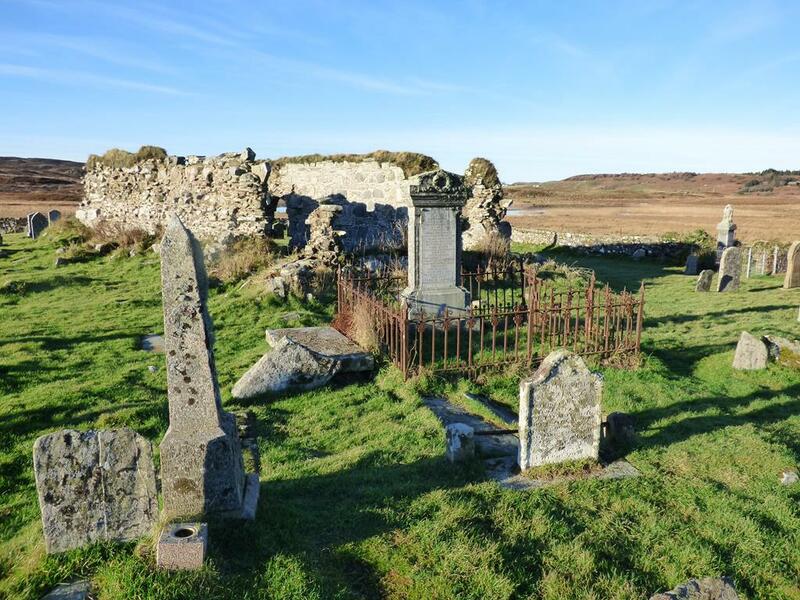 The repairs to the church were completed in 2015 to protect whats left with help from Historic Scotland. 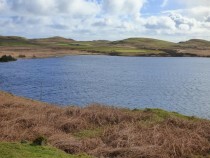 To the north of the chapel is a man made loch called Harrison s loch a haven for ducks, waders, whooper swans and otters. 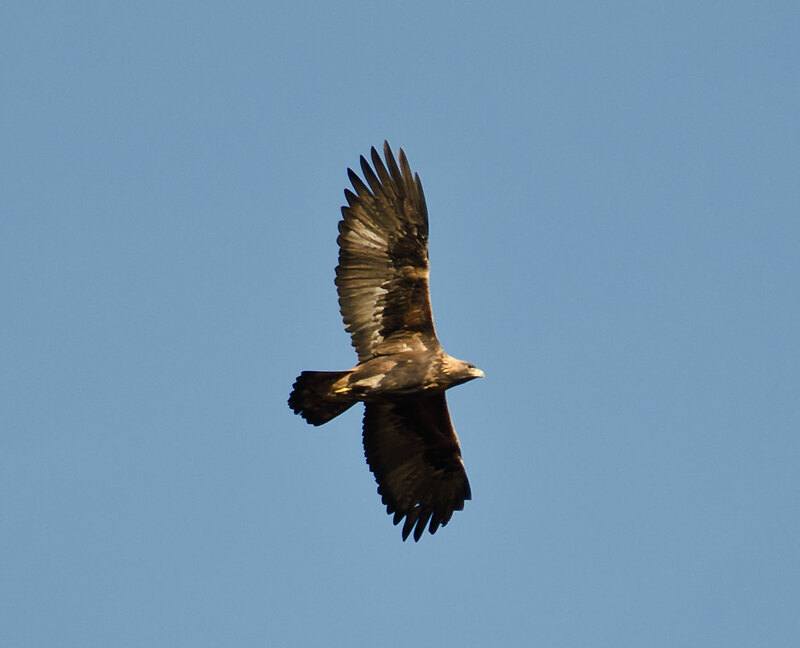 The area is is ideal for spotting hen harriers, sparrowhawks, Kestrels and the occasional sea eagle. 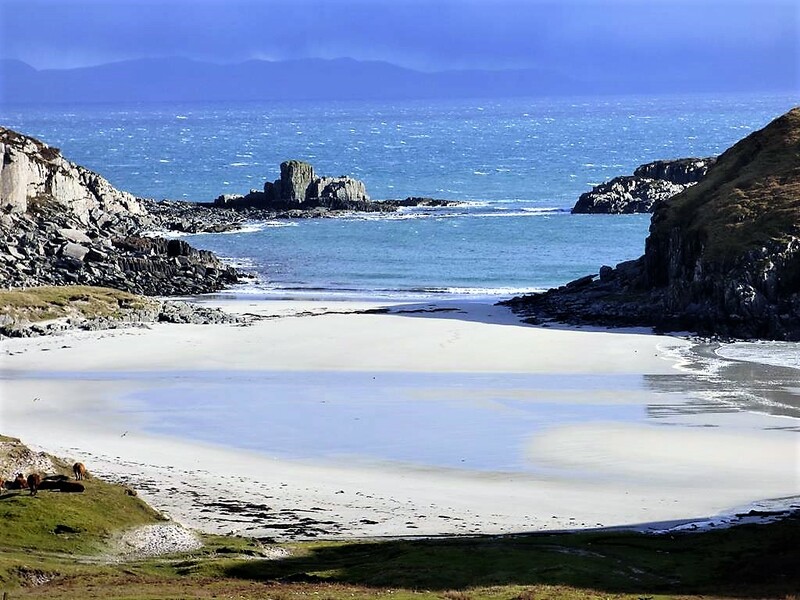 Return to the track turn right and continuing down in a southerly direction you come to picturesque Kilvickeon beach divided by an island at low tide. A splendid spot for a family picnic and swim or a beach comb. 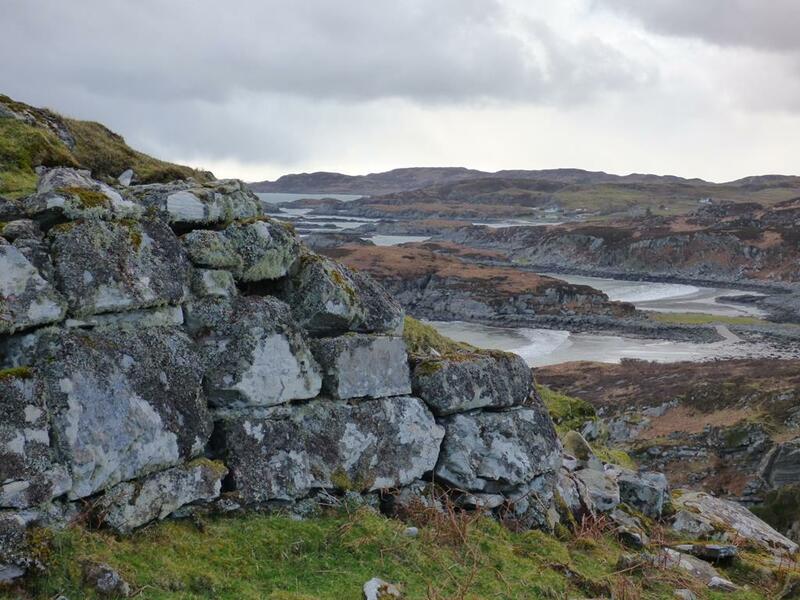 Often all along this coastline you can see wild goats whose descendants would have been domesticated but after the clearances the goats were left to fend for themselves and became feral. hills then bearing south west round the foot of the bigger hill for a few minutes here is a fine example of an Iron Age Fort or Dun at the top of a wee hill overlooking a sandy cove, beach of the fort. 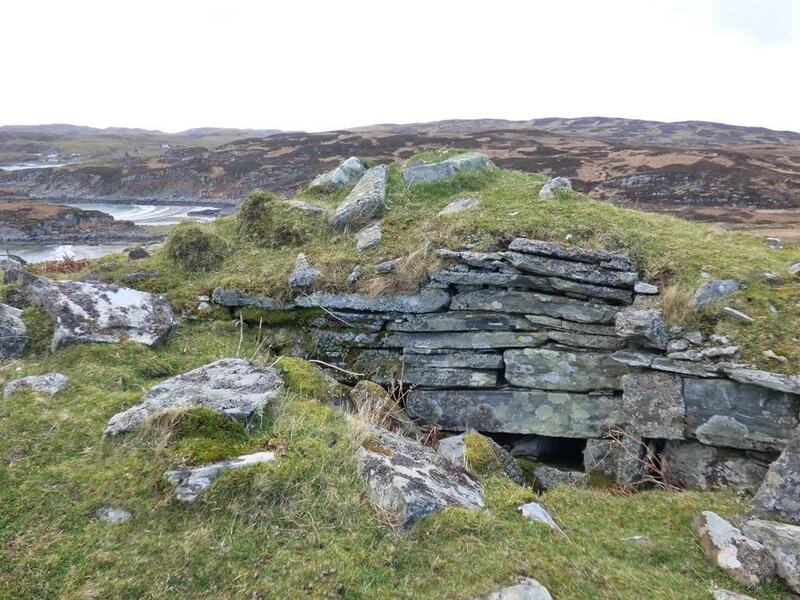 Dun a Gheard ( Fort February) with inner and outer walls, and steps clearly visible near the top of the hill. A bit further to the west from here you can see sandy cove called Port Bheathain a lovely spot today but the site of a historic and bloody battle between Mull MacLeans and Mac Phees of Colonsay. 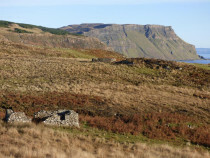 A follower of MacLean was murdered in Glen More the perpetrator fleeing to Colonsay, Mac Lean demanded the murderer was returned to Mull to be tried. 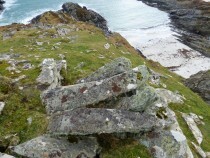 The Colonsay men instead killed him and deposited his body ashore on the Ross of Mull. This led to a feud. 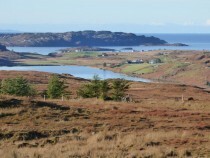 When the MacPhees returned to Mull to steal cattle, the MacLeans ambushed them and as they retreated into the sea with their boats the MacLeans cut off their thumbs so that they were unable to row their boats and they were slaughtered. 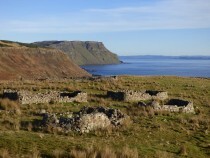 The bay is known as the "Bay of the Thumbs". It is said after the battle that the MacLeans gathered 9 buckets of thumbs and toes! Return the way you came. Return to the main dirt track at the top of the hill and turn right following the road to Scoor House, leaving your car at Kilvickeon car park. Go left past the front of Scoor House through the gate and follow the track through the field to the gate at the top of the field. 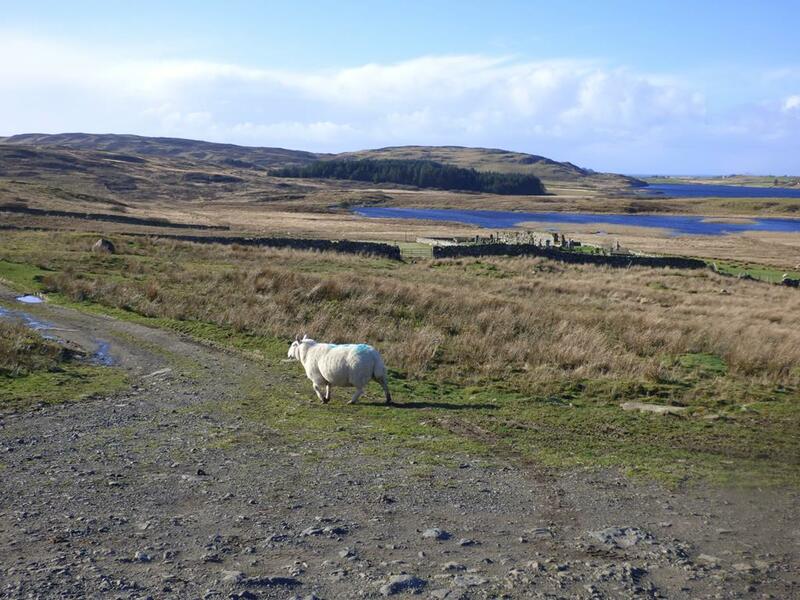 You are now in the top field, follow the track past the sheep fank on your left, go through the gate and follow the track to the high point in front of you (east). On looking left, north east, you will see a fire break in the forest across the valley. Head along the ridge towards the fire break Soon you will spot the track to the deserted township of Shiaba below you. 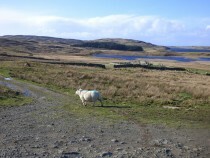 Follow the rough path through the moorland watching out for grouse and birds of prey as you go. 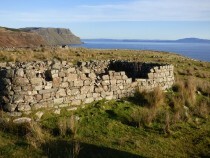 Soon you see the gable end of a building with other ruins around it sitting on a fertile grassy mound above cliffs. This is Shiaba a Scheduled Ancient Monument, and an old township with some of the most fabulous views. 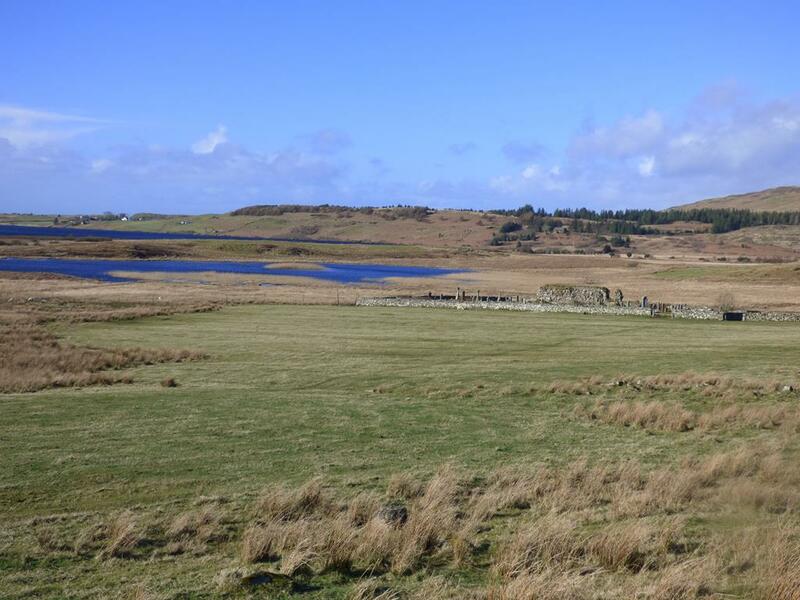 Over three hundred and fifty people lived here at the end of the eighteenth century and the remains of their dry stone round-cornered houses, byres, lazy beds and boundary walls marking their croft lands can be seen. 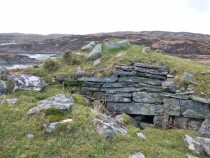 There is a water mill and two drying kilns. 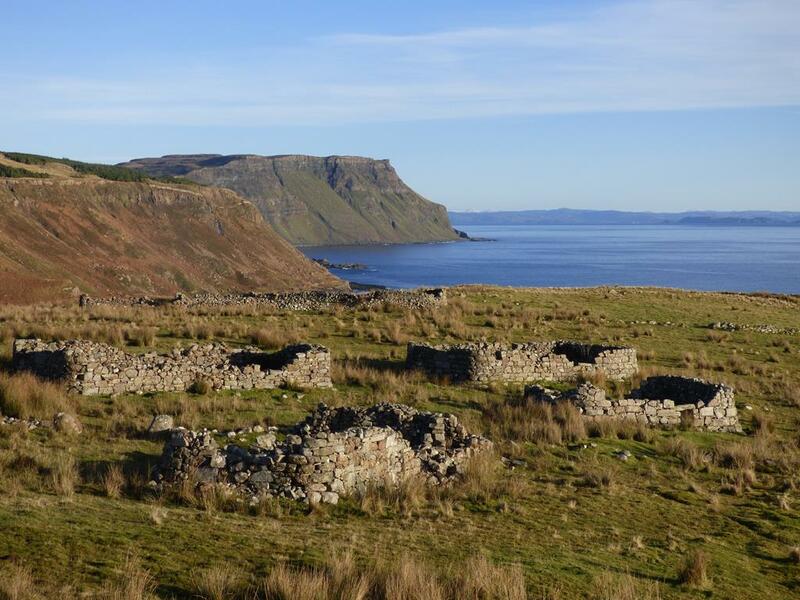 The first ruin on the right coming down the track before the burn was the schoolhouse. 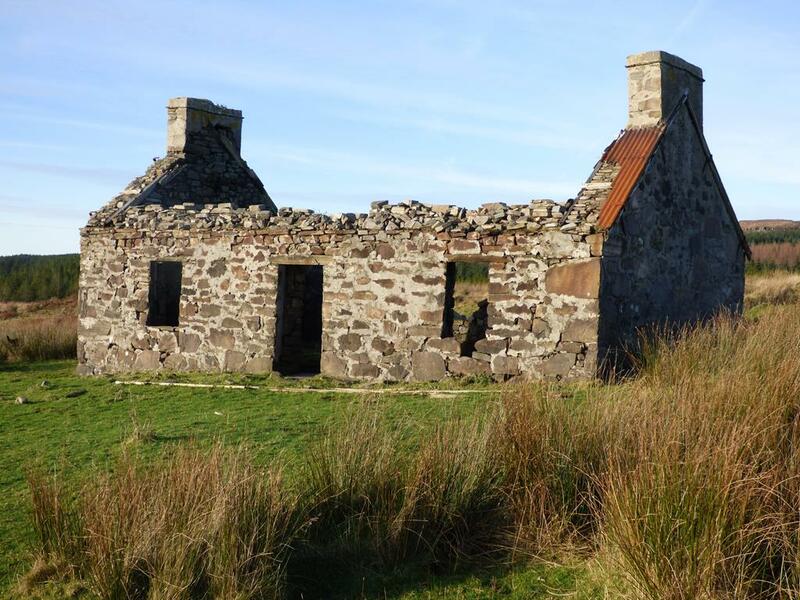 The last house to be occupied is the square cornered house on the hill with its gables intact. 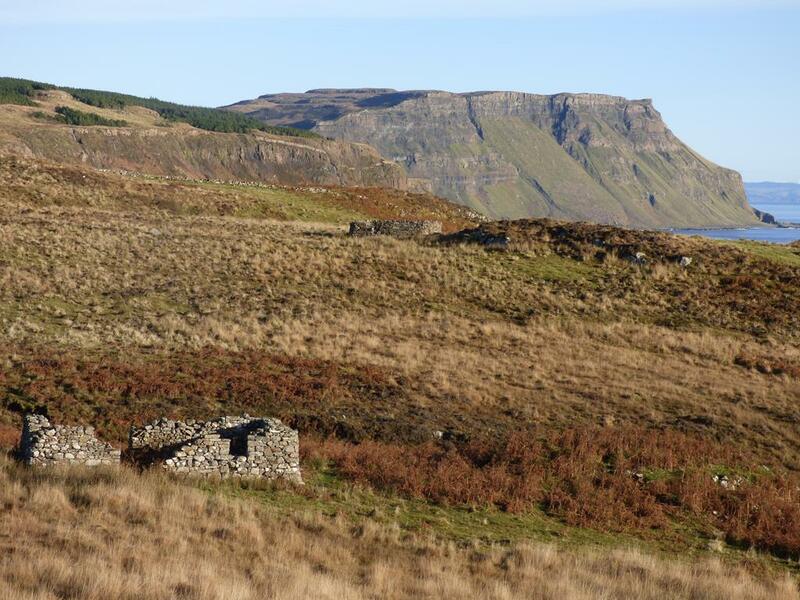 A shepherd and his family lived here until the 1930 s.